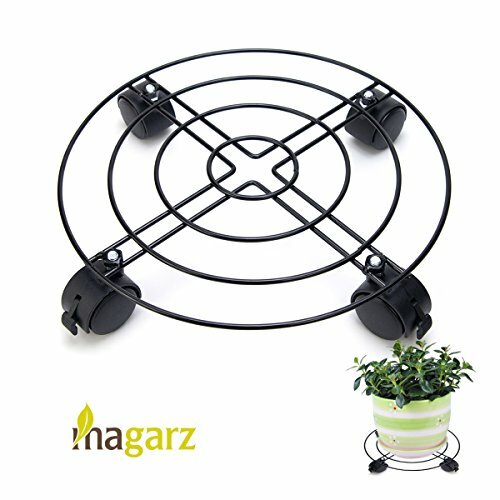 Flower Pot Rack on Rollers Dolly Holder on Wheels office and home Planter Trolley Casters Rolling Tray Coaster Black, Round. When you don't need to move the pot, you can lock the wheel, that the shelf will be stable. If you have any question, please contact us, we would like to answer for you. If you find there's any problem of package or item, please contact us immediately, we will deal with it as soon as possible. If you have any questions about this product by Magarz, contact us by completing and submitting the form below. If you are looking for a specif part number, please include it with your message.